Hi! I’m assuming since you wound up at my site, you’re looking for information on Hashimoto’s Thyroiditis, Hypothyroidism, or other thyroid issues. Well, you’ve come to the right place. My goal in building this site is to research Hashimoto’s Thyroiditis (also known as Lymphocytic Thyroiditis) and compile as much information about it as possible for both MY benefit and YOUR benefit. 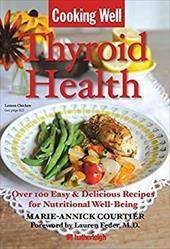 Thanks to Oprah, thyroid issues have been received some publicity lately that’s long overdue. For those of you just made aware of hypothyroidism and are looking for information, I sincerely hope I can help you find the information you need. I’ll try to keep things as basic and understandable as possible, but discussing medical stuff can sometimes be complicated and boring. If it sounds like I’m being TOO simple, it’s because I expect many folks that show up here are recently diagnosed, know nothing about thyroids, and are looking for answers. Rest assured, there’ll be plenty of in depth discussions in the forums, which I hope we’ll all learn from. just don’t know much about it and I had better know as much about it as I can if I’m to get proper treatment. I want to feel “normal” again… or at least as close to it as I can get. That brings me to the disclaimer… Please read it. If you are recently diagnosed with Hashimoto’s Thyroiditis or are wondering just what a “thyroid” is, please visit my “What is the thyroid?” page.